to market. 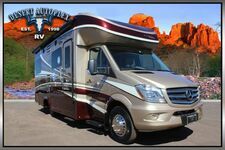 This is a unique opportunity to own a wonderful recreational vehicle for a great price. - and a tow package. The interior on this Revolution is magnificent from front to back; imagine yourself sitting in the front captains chairs running the roads of America. This coach has plenty of storage everywhere in the beautiful solid wood cabinets. The accents and interior trim are absolutely stunning and will definitely impress. - And tons of storage cabinets. - A Central A/C system with 2 roof mounted A/C units. - Diesel powered Onan Quiet Diesel 7500 diesel generator that functions perfectly. - Leveling this beautiful coach is handled by its full set of Power Gear leveling jacks. 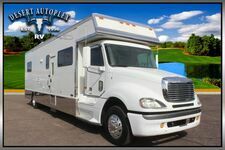 - This Fleetwood sports a large fresh water holding tank so you can enjoy your trip with no interruptions. Don’t miss your opportunity to own this extra clean pre-owned 2006 Fleetwood Revolution 40E LE Double Slide Diesel Pusher Motorhome. Absolutely no disappointments with this stellar coach. Financing is always available on approved credit. With multiple lenders to work with we can offer the lowest rates and can work with any past or current credit situation. We offer a secure online credit application for fast and easy credit approval. to have any questions answered or to make your best offer!